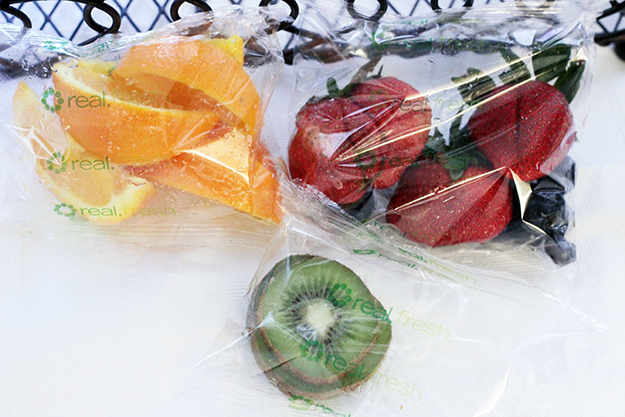 Districts across California are improving not only the quality and variety of food served in school meals, but also the availability of local products and the messaging used to communicate regional products to students. Turlock Unified School District has forged the way for such efforts. The district hosted the first of three Child Nutrition Director Trainings on February 3rd to help other school districts follow suit. Organized by the Office of Farm to Fork, the trainings aim to highlight programs that have successfully increased their local fruit and vegetable purchasing and bring together food service directors looking to advance their farm to school programs. Despite torrential rain, the training saw a strong turnout of food service professionals eager to learn from Scott Soiseth, Turlock’s Child Nutrition Director. 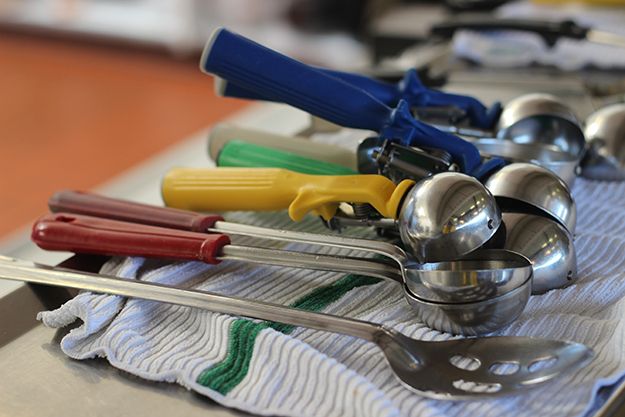 Within the food service community, Soiseth is regarded as a pioneer in improving school meal service with his focus on procuring seasonal products for mainly scratch cooking. School districts in attendance, ranged in size from small districts, like Plumas Lake Elementary School with only 1,200 students and a 40% free and reduced population to large districts with high free and reduced priced populations, like Lodi Unified School District with 30,000 students of which 66% are free and reduced. Turlock Unified School District’s Child Nutrition Director, Scott Soiseth, shares his vision for his district’s food service program. The day commenced with breakfast, including local fruit packaged with Turlock’s real.fresh brand and presentations featuring Soiseth’s wealth of knowledge of farm to school practices. Soiseth spoke specifically to the effort he placed on developing a successful marketing plan to properly communicate the hard work behind each meal. He also discussed his journey into locally procuring for his school meal program and how he relies heavily on the DoD Fresh program to purchase fresh fruits and vegetables. Soiseth reserved a portion of the day’s time to discuss his involvement in the USDA Pilot Project for Unprocessed Fruits and Vegetables, which allows him to purchase fresh fruits and vegetables from local producers. Addison Ford, part of the Office of Farm to Fork, also presented on the California Farmer Marketplace, a website developed to connect food service staff to California farmers and aid in the procurement of local produce. 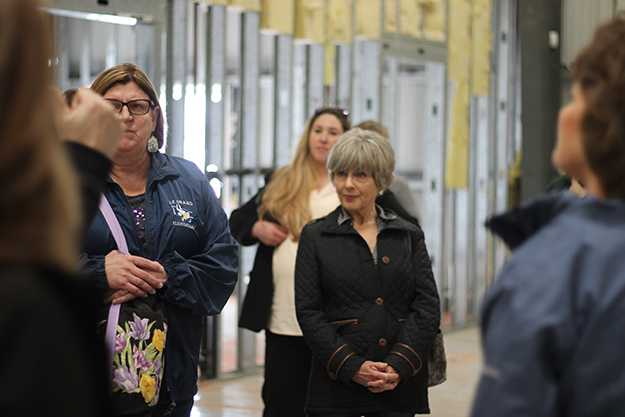 Attendees visiting the future central kitchen for Turlock Unified School District. 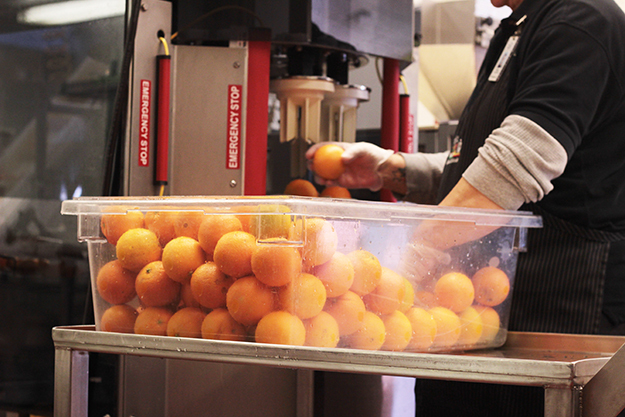 During the day, the group was able to visit the current central kitchen and view the machine that slices and packages fruit for school meals. During the day, the group visited the current central kitchen and was able to see the machine that individually packages fruit and a cafeteria branded with real.fresh messaging. The group also drove outside town and visited the school’s 5 acre farm, where the district recently planted a one acre vegetable plot and fruit and nut trees. Produce from the farm will be served in school meals. 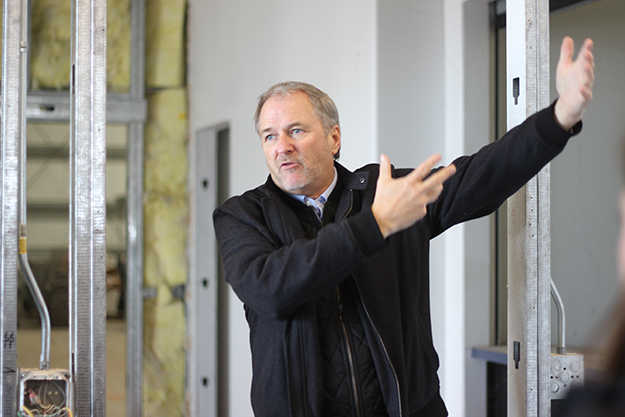 Finally the group toured Turlock’s future central kitchen. Soiseth took the opportunity to explain his vision and the journey he has taken to achieving it. The site will include a space for an aggregation center and a dedicated space for teaching students, families, and food service staff about nutrition education and scratch cooking. Attendees were served a typical school lunch at the site which included local spinach, romaine, and kiwis. “It’s great to see the full breadth of what the district is doing to improve meal quality and participation numbers”, remarked one attendee. As the day ended, attendees left with a newfound knowledge from the presentations and site visits, as well as many new connections within their professional field. The Office of Farm to Fork will host a final Child Nutrition Director training in Encinitas on February 24th. This entry was posted in CA Farm To Fork website on February 23, 2017 by California Farm to Fork.